NV first partnered with ESPN back in 2006 when we developed the live scoring system for the ESPN Cricinfo website, the home of cricket online. This system is still in use today, delivering live ball by ball scoring for every game of international cricket played. They loved our design-centred, user-centred approach to development so entrusted us again to create a new series of Windows apps for fans of two of the biggest sports in the word - Football and Cricket. The official ESPN Cricinfo cricket app is the only app that you would need to keep yourself updated with the latest scores, breaking-stories, player statistics, records, rankings, exclusive content from the best writers, audio, video and much more – this is just the perfect personal Cricket companion. What more could any sports fan ask for? The app provides comprehensive coverage of cricket from around the world, with live ball-by-ball scoring, comprehensive news, features & editorial content. The app also includes push notifications for wickets & results. It’s the most beautiful way to follow cricket. ESPNFC is the global site for the global game, with worldwide football coverage 24/7. Our Windows app features comprehensive football coverage, with live scores, results, fixtures, tables, club profiles, player profiles – all beautifully presented. All major leagues and tournaments from around the world. Again, we approached the design from a fan's perspective. Football fans are loyal to their team, so the app begins with a team selection and the content flows from that with scoring, news, profiles and magazine-style features. A beautiful app for 'the beautiful game'. Our challenge: to build apps from a fan’s perspective reflecting how they like to follow the game – but that also seamlessly integrate with ESPN’s existing backend content publishing systems. Microsoft has cited the ESPN Cricinfo app as a stunning example of what Windows design language can achieve & it has been used as a benchmark for others to follow. 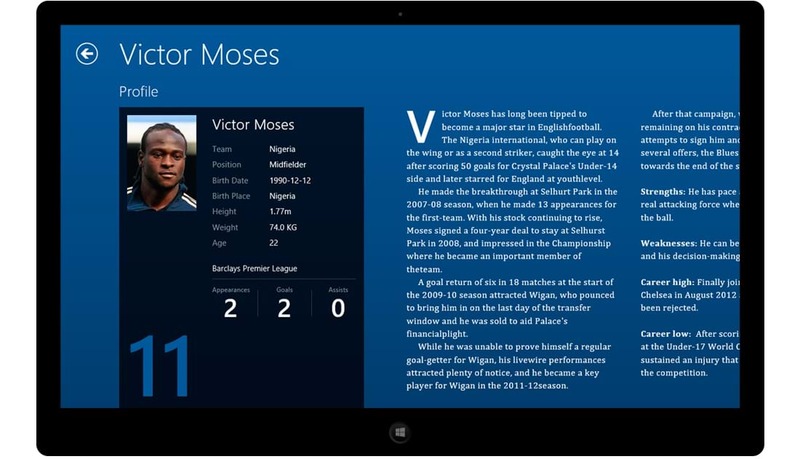 Following the success of the ESPN Cricinfo app, NV was engaged to create a Windows app for ESPN Football. We jump at the chance to work on the biggest sport in the world! Again, we approached the design from a fan’s perspective. Football fans are loyal to their team, so the app begins with a team selection and the content flows from that with scoring, news, profiles and magazine-style features. Saving lives by reimagining the first responder experience. A highly visceral digital installation for Te Papa’s Gallipoli exhibition.